You are viewing our brand new 26″ ORKAN and Aomais folding bike, which is fashionable designed and offering comfortable riding for cyclists. Riding with style and convenience, this bike can be easily folded and storage in a compact size. 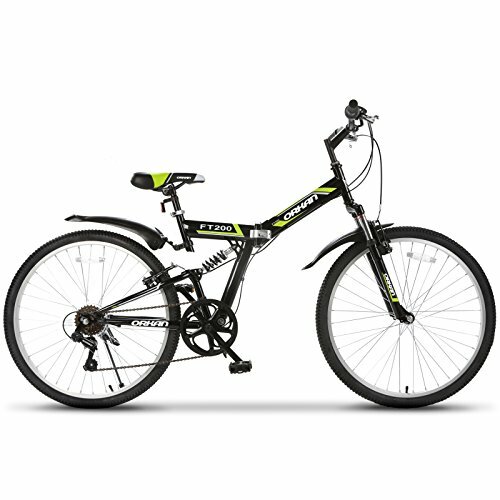 It is the wise choice to use this one for commuting to work, or riding in parks as well as in camping ground. Both ORKAN and AOMAIS brands belong to Uenjoy Direct, we assure them the same premium quality and delivery service. We suggest to let professionals assemble the bike. If you assemble it by yourself and meet any trouble, please fell free to contact us via E-mail. Our technician will help you within 24 hours.